In order to showcase the government programs, industrial mentorship, financial support, handholding to innovation, G.L. 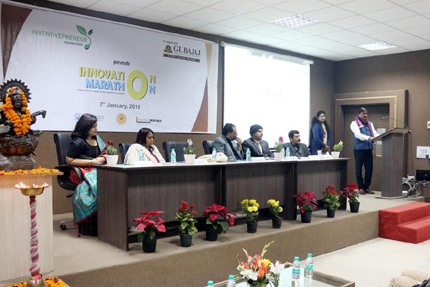 Bajaj Institute of Technology and Management organized a landmark event titled “Innovation Marathon – Greater Noida” on 7 th January 2019. It was a part of the nationwide campaign managed by Inventivepreneur Foundation. 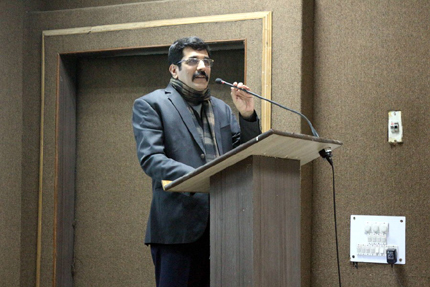 The event was attended by a gathering of 250+ youth participants and coordinated by Dr. Amit Sehgal of Department of Electronics and Communication Engineering. This one day program gave access to investors with unprecedented innovations, insights and acceleration opportunities to connect and collaborate with Industry Leaders and Government officials at the central and state levels. 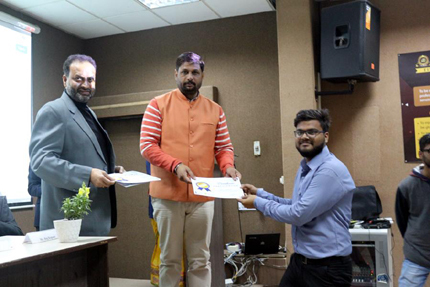 Program was inaugurated by Shri Santosh Ranjan Ji, Vice President – Bhartiya Janata Party Yuva Morcha and witnessed Dr. Ritika Yadav – Chairperson, Inventivepreneur Foundation, Dr. Poonam Sinha, Director, NIESBUD, Dr. Rajeev Agrawal, Director, GL Bajaj Institute of Technology and Management, Pankaj Dubey, MD, Polaris India, Raj Kapoor, MD, AIBTM. More than 50 ideas presented and evaluated for support at various levels including capital funding. nnovation Marathon? 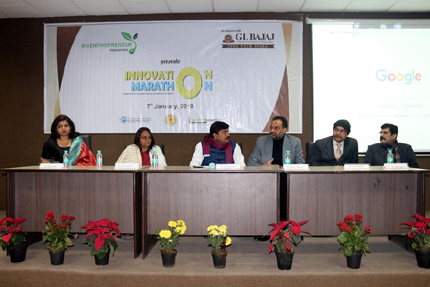 is a flagship initiative of Inventivepreneur Foundation launched on June 25, 2018 in New Delhi by Hon?ble Cabinet Minister Shri Suresh Prabhu Ji, Ministry of Commerce and Industry with VISION2022 this initiative will add half million new business in country and this movement will create 40 Million new job opportunities in India.